Some Singaporeans never learn, do they? 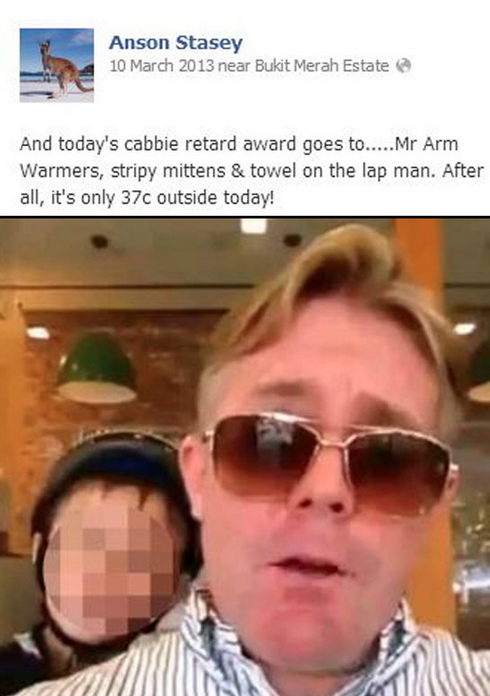 Barely six months after the infamous online attacks against Anton Casey and the Honda Civic road bully in which their personal details were leaked, another cyber-bullying case has surfaced, this time targeting a woman labelled as the Cheongsam Lady. The same strategy was employed for this case. Like its predecessors, the Cheongsam Lady’s personal information such as her workplace, office and mobile numbers were divulged freely on a particular socio-political site in Singapore. The name-calling is worse; it’s like viewing a red peshmerga striking its one target all at once. It’s a grossly handicapped match and to me, the actions of these few are embarrassing and abhorrent. Screenshot from video uploaded on Facebook. 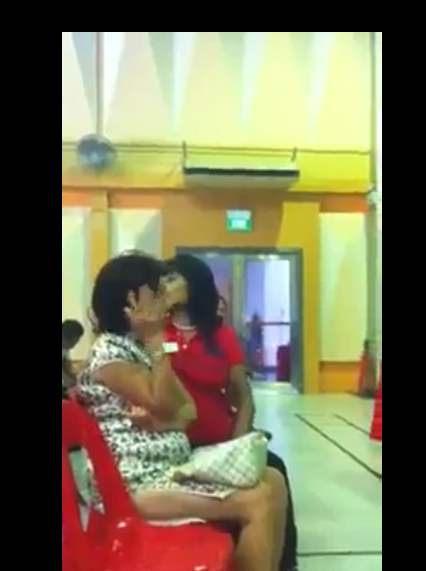 For those not familiar with the Cheongsam Lady, allow me to provide you with a short backstory: The target first appeared in a video posted on Facebook by user Jaclyn Teo. The content of the 6-minute video centred on how a 76-year-old retired teacher was making a heartfelt speech about her CPF savings. Towards the end, you can see the Cheongsam Lady gesturing her hands, in what seemed to be insinuating that the speaker was crazy. Yes, I disagree with how the Cheongsam Lady reacted to the retired teacher’s speech. Singaporeans took umbrage with her behaviour, and I understand that. Her hand gestures were definitely done in bad taste and mocking an elderly like that spoke volume of the Cheongsam Lady’s level of empathy and compassion towards her. I am in no position to judge the lady’s overall character as a person outside merely from her few seconds of folly, but alas, she was caught red-handed by someone who had secretly recorded her actions. Do you think she would perform those hand gestures if she had known that the CPF event was to be filmed? I don’t think so. It’s not a question of maturity on the Cheongsam Lady’s part; its a question of sincerity. 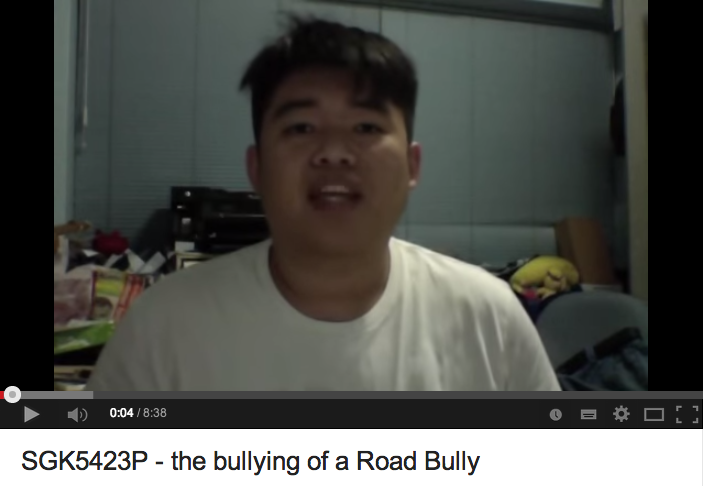 Screenshot of Honda Civic Road Bully apology video. The Cheongsam Lady is wrong and her actions are proof of that. She should be condemned for her actions online but it should stop at that. This is free speech. Flaying her with names and exposing her personal information is not. I could sense a malicious intent to have her pay the fullest price for her actions, in this case possibly trying to make her lose her job. Screenshot of Anton Casey’s FB post. Law minister K Shanmugam was right when he said that the newly passed anti-harassment act is “not going to change behaviour overnight“. The act covers online harassment activities and cyber-bulling, giving the courts authority to sentence offenders with a jail term or community order. If the anti-harassment act is meant to deter Singaporeans from engaging in cyber-bulling for instance, then the culprits involved in the recent Cheongsam Lady case would beg to differ. Perhaps the ability to be anonymous online continues to provide the cyber-bully with a sense of bravery, which even though is superficial, may be enough to cause one to do something foolish thanks also to the mob mentality. It is not known if the numbers provided by the virtual CSIs in the Cheongsam Lady episode are true. Nonetheless, if it is, I could imagine how distressed she would be at home or in office. Would it affect her performance at work too? The whole Cheongsam Lady saga is a needless distraction, misleading us away from the plight and views of the 76-year-old speaker. We ridicule the China citizens for their barbaric or uncivilised behaviour offline, but we fail to look at ourselves in the mirror. I’d like to appeal to Singaporeans to stop harassing someone who admittedly has had her or her faults exposed online. I’d like to ask Singaporeans to stop with the cyberbullying. 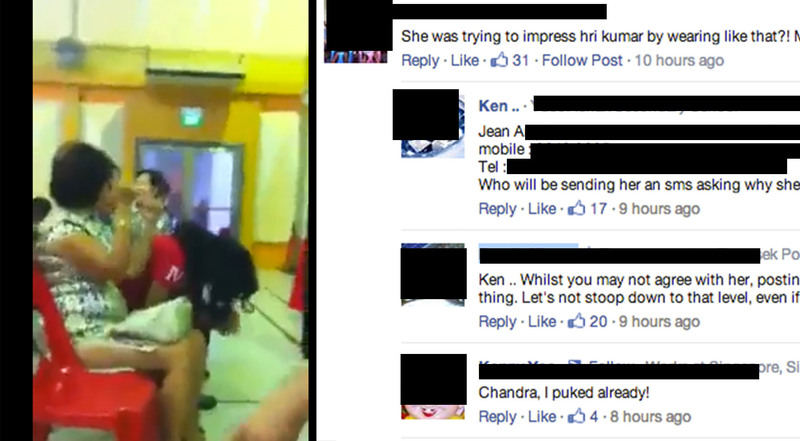 Yes, the Cheongsam Lady was wrong but shaming her online is wrong too, maybe even worse. Remember, two wrongs won’t make a right.